Mark Alan Anderson, 52, passed away on October 30, 2018. A native of Fort Lauderdale, Florida and lifelong resident, Mark loved spending time at the beach and in the ocean, and was an avid surfer for many years. 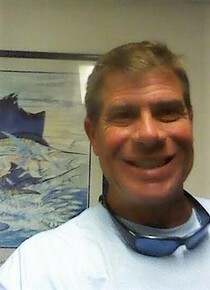 He graduated from Nova High School and spent most of his life working in the boating industry. He had a kind, giving spirit and was always willing to lend a helping hand to anyone in need. He was a deeply devoted son who loved his family and did all he could to care for them. He is survived by his mother Kay M. Anderson, father, Richard E. Anderson, sisters Pamela S. Anderson and Linda M. Anderson, step-brothers Travis (Karen) Jenkins and Todd Jenkins, daughter Brooke Farrell, granddaughter Briella Anderson, nephew Elvis Doumar and many loving aunts, uncles, cousins and friends. He is preceded in death by his nephew Jared Richard Anderson, step-mother Linda Jenkins Anderson and grandparents Richard H. and Carolyn J. Anderson and Wesley and Marie Clarke. His memory will be cherished by all who knew him. Donations can be made in his memory to the Ocean Conservancy at https://oceanconservancy.org/.